The problem with promising God youll follow Him wherever He leads you is that you just might have to go. When her husband returned from a church mission trip and disrupted her tidy, middle-class afternoon with the conviction they should pack up and move to a Mayan village in Guatemala, Marcia Moston had to wonder: faithful or foolish? 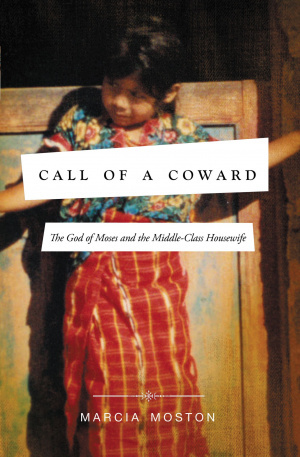 On a journey that leads from the highlands of Guatemala to a small Vermont village, Marcia follows Gods call for her husband even though it seems to conflict with her own dreams, requires credentials she lacks, and demands courage she doesnt feel she has. Written with humour and insight, 'Call of a Coward' is a candid account of a modern-day seeker and a very real God who makes cowards courageous, ordinary lives purposeful, and dried-up dreams fruitful. Call Of A Coward by Marcia Moston was published by Thomas Nelson in August 2012 and is our 14995th best seller. The ISBN for Call Of A Coward is 9780849947308. Be the first to review Call Of A Coward! Got a question? No problem! Just click here to ask us about Call Of A Coward.